Home World News India, US To hold First Joint Military Exercise In Uttarakhand. India, US To hold First Joint Military Exercise In Uttarakhand. The exercise will be themed on "counter terrorism operations in mountain terrain under the UN charter". 1 This will be the first joint military exercise between two countries. 2 Indo-US joint training exercise will be a battalion level exercise. 3 India and US signed Logistic exchenge memorendum of aggriment (LEMOA). After the two countries signed the LEMOA, armies of India and the US are going to hold a joint exercise between 14-27 September at Chaubatia military station in Uttarakhand's Ranikhet. This will be first joint military exercise between two countries after signing Logistic exchenge memorendum of aggriment (LEMOA). Army officials said a special request was made to the US contingent "for sharing of simulation and exercise design". 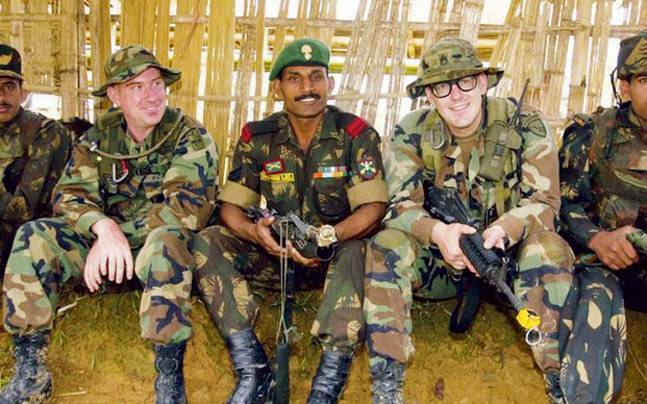 Indo-US joint training exercise will be a battalion level exercise. As part of the combined training, the contingents are (already) sharing tactics, techniques, procedures and operational experiences to improve interoperability between the two armies. 225 personnel each belonging to infantry divisions of both the countries' armies will be participating this year at Yudh Abhyas , a bilateral exercise that began in 2004 as part of US' Pacific focus. As part of the combined training, the two contingents will train on sharing operational capabilities to improve interoperability between the two armies. In 2015 , the exercise was held at Joint Base Lewis McChord in Washington.